Now in our 10th year, our team at Queen Bee is consistently striving to bring you a fantastic pregnancy shopping experience! 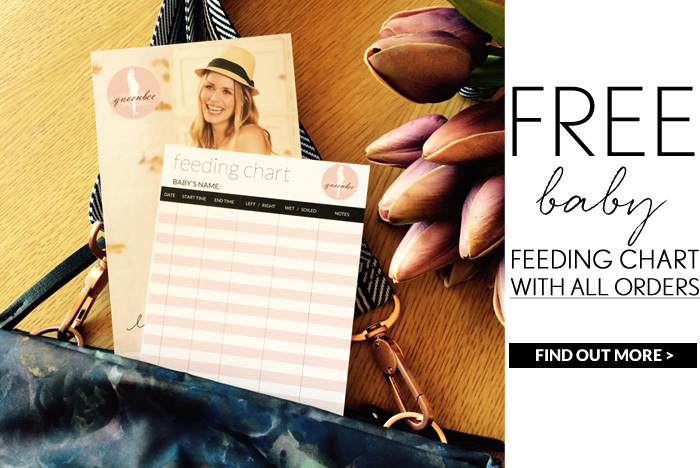 We know our customers are busy mums and time is precious. 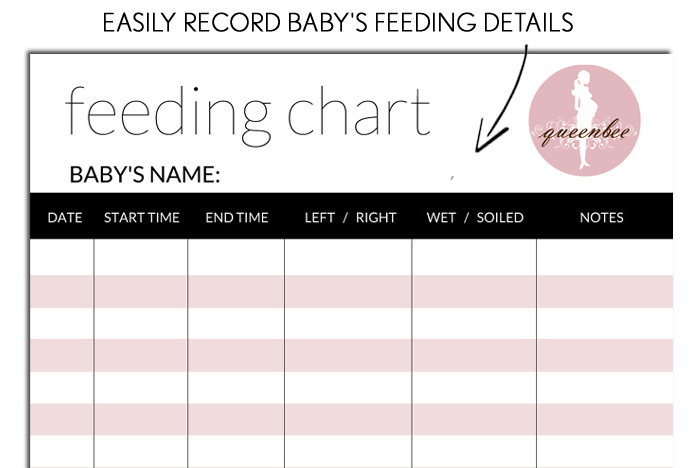 FREE with every order is this beautiful feeding chart to help you keep organised with your baby's feeds. 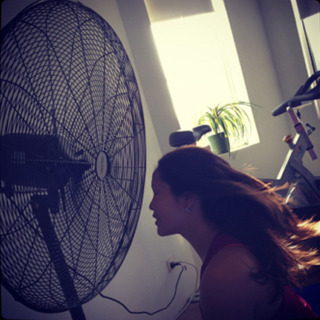 Felicia: How to Keep Cool in this Heat! Being in my third trimester IN summer – I now understand the meaning of ‘feeling 10 degrees hotter than everyone else’! Be sure to catch the MORNINGS show this Thursday 6th March at 9am with Sonia Kruger and David Campbell. 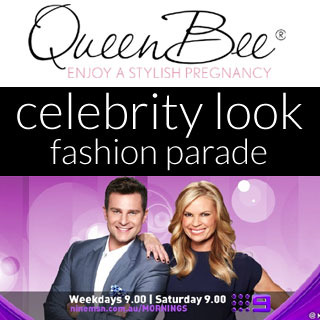 Special guest Bronwyn McCahon (Fashion editor of Cosmopolitan magazine) will be hosting a Celebrity Maternity Fashion parade featuring Queen Bee ! !